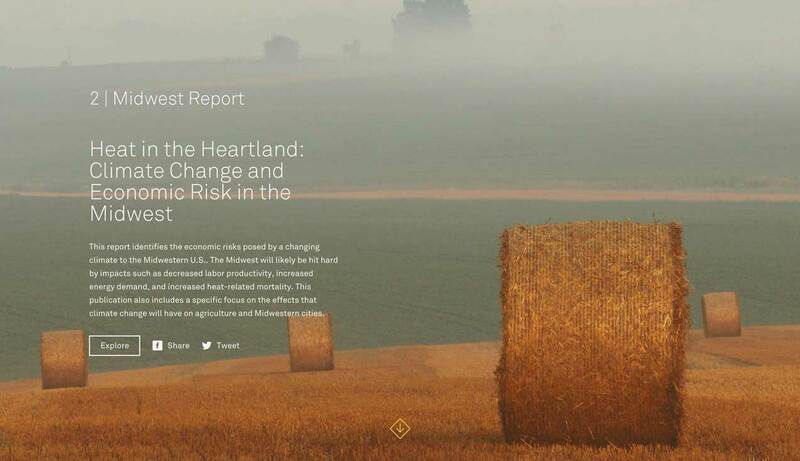 Founded by co-chairs Michael R. Bloomberg, Henry Paulson, and Tom Steyer the Risky Business Project examines the economic risks and opportunities presented by climate change. HabitatSeven was tapped to be its digital development firm to help design its website and groundbreaking report sites, digital tools, and interactive applications. 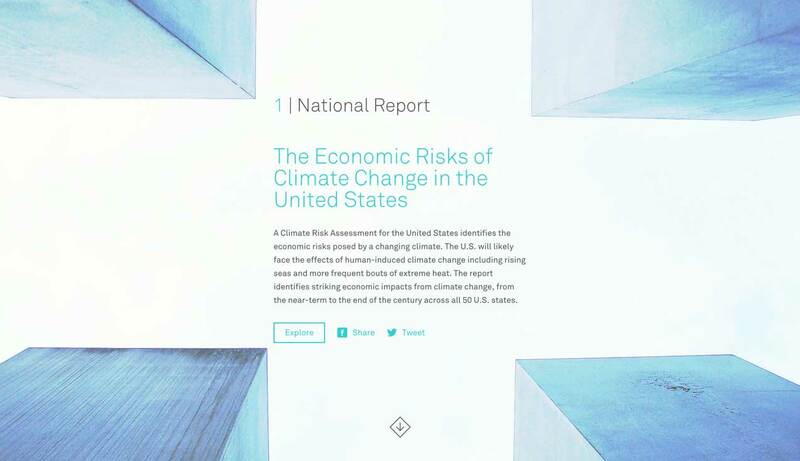 In October 2013, NYC Mayor Michael Bloomberg, former U.S. Secretary of the Treasury Hank Paulson, and business leader and philanthropist Tom Steyer, founded a new initiative to assess and publicize the economic risks to the U.S. associated with climate change. The project grew out of concerns by the Co-Chairs that the U.S. was not developing sound risk assessments to respond to the impacts of a changing climate. The Risky Business Project required a branding change and associated digital materials to launch its new phase of organizational focus. 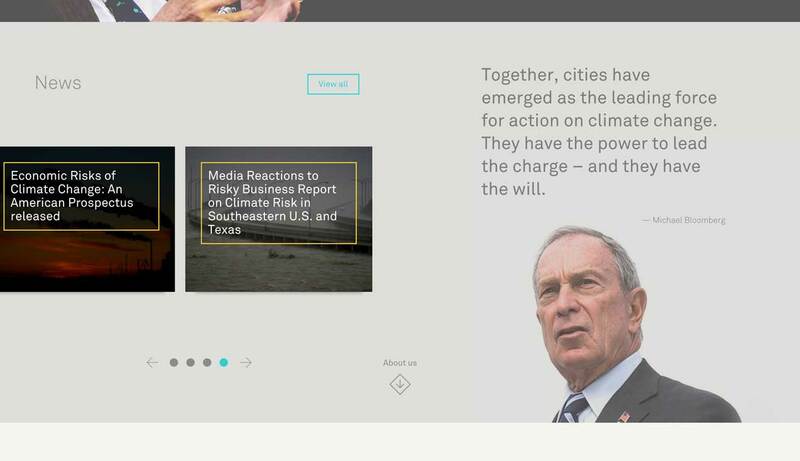 To do so, a new website needed to be created with branding guidelines to help it stand out from other climate related programs as being uniquely positioned to address the needs of the business community and to mark a bold new direction for the organization. 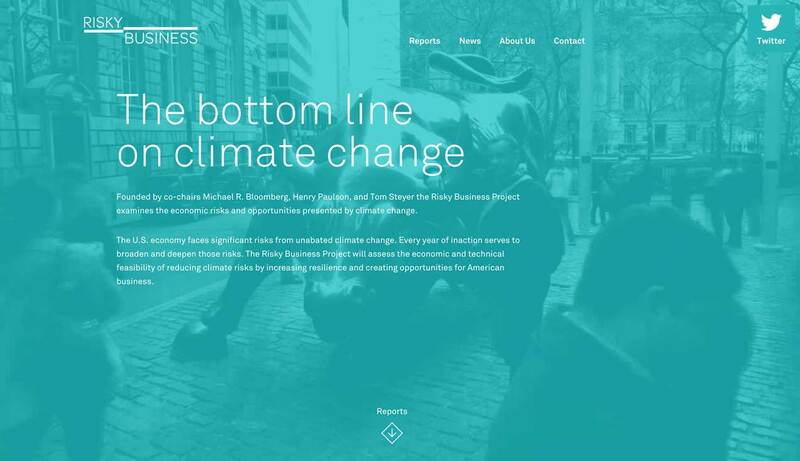 The site and branding provides a striking new look to the organization to help it position itself as a leader in both the climate change and business communities. The site is responsive on all devices and provides an organizational framework allowing it to scale as new reports become available and new interactive products are produced.